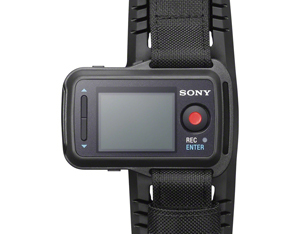 *1: Only available with compatible cameras (including HDR-AS15, HDR-AS30V and HDR-AS100V). 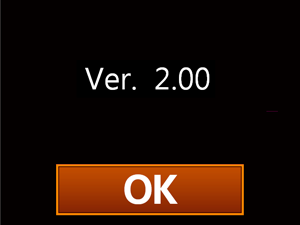 The download of the [Update_RMLVR1V200.dmg] file will start. 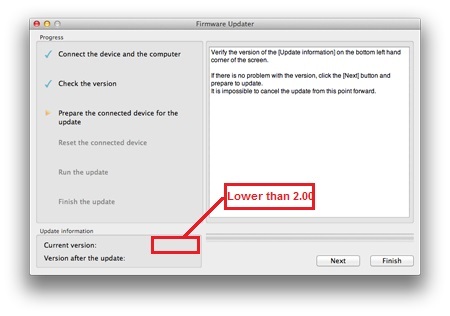 Double-click the [Update_RMLVR1V200.dmg] file you downloaded. 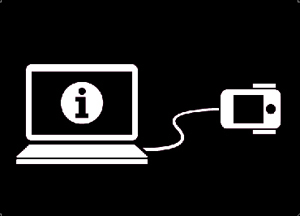 Do not connect the remote at this point. 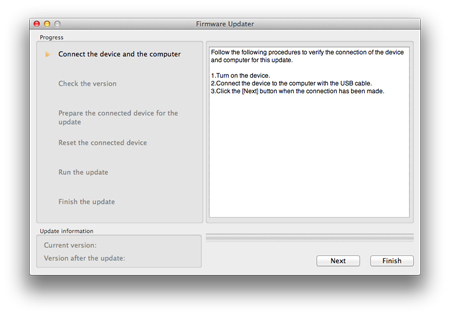 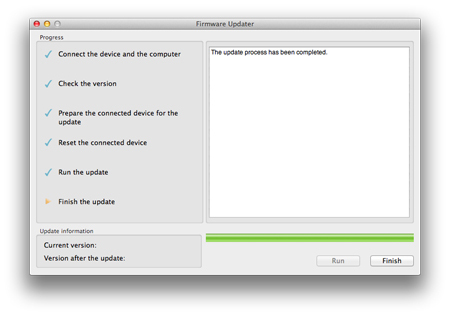 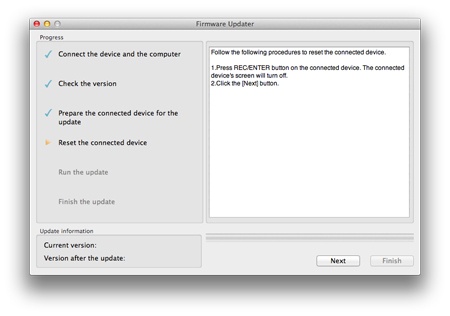 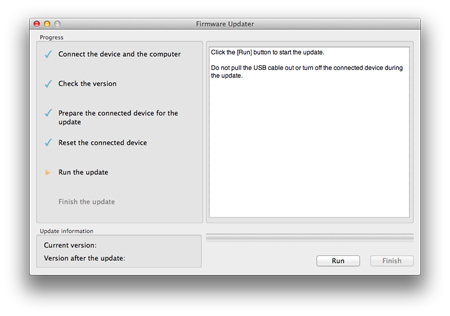 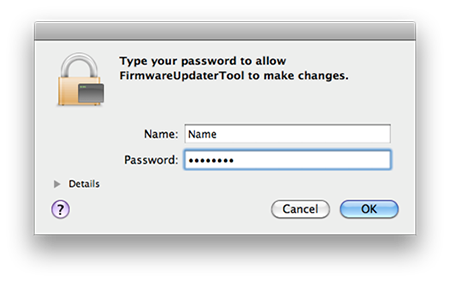 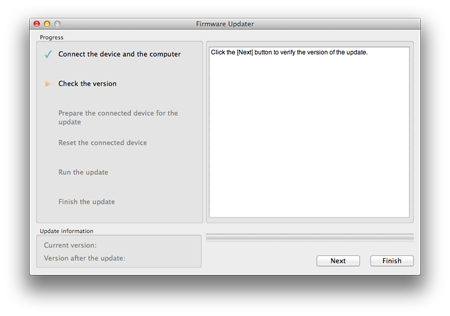 Step 2: Confirm the firmware version of your remoteis Ver.2.00.